Withings, not to be outdone by Samsung and its new SleepSense system, has updated its Aura range – adding in a new device as well as Spotify integration. The Spotify Connect addition means that users will be able to tap into the music streaming giant's 30 million tracks, curating their own playlists to fall asleep and wake up to. Withings is also promising that it will work with Spotify to knock up recommendation engine-powered sounds to both soothe you and jolt you into action. These playlists will analyse the user's musical tastes and decipher the efficiency of those tunes when helping similar users fall asleep or get out of bed, based on aggregated data from Aura Sleep Sensors worldwide. The new device is the Aura Connected Alarm Clock, which doesn't have the under-the-mattress sensor of the original sleep monitor – so no detailed slumber metrics – but does offer light cycles and monitoring of the sleep environment. And an alarm clock too, obviously. 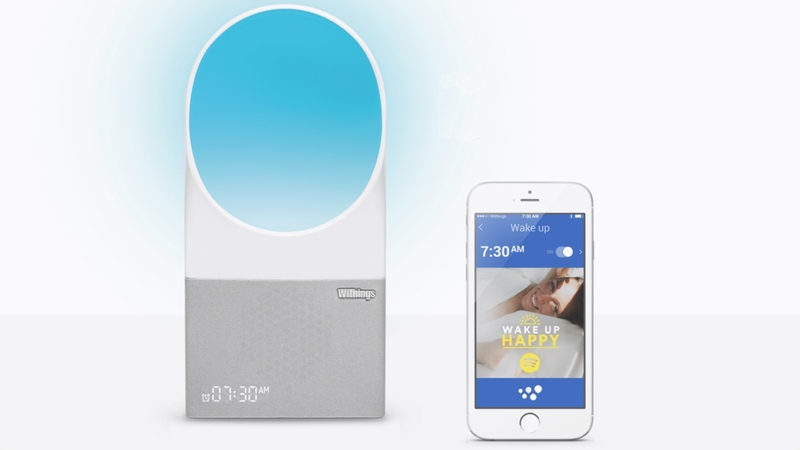 "With 79% of Americans stating they believe a bad wake up experience can ruin their day, we wanted to work hard to improve this important component of sleep routines," said Cedric Hutchings, CEO of Withings. "By combining environmental sensors, light therapy and now thanks to our partnership with Spotify, the most personal of musical choices, we can help people get the better start they deserve and attack the day energised after a sound night's sleep." It's a neat idea, and while it's possible to get Spotify on a number of connected speakers already, it does improve Withings Aura platform. However, we weren't exactly enamoured with the original sleep monitor when we reviewed it earlier this year. Available directly through Withings or from Amazon, the Aura Connected Alarm Clock costs $189.95. You can combine the new clock with the sleep monitor in the newly named Total Sleep System for $299.95.